This fabulous eco-excursion will provide you and your family and friends with the opportunity to see some of the most beautiful and diverse aquatic life in the world. Be sure to look for Bottlenose Dolphins frolicking in the water as we cross Banderas Bay on route to the scenic Marietas Islands for a day of ecological discovery. During the winter, be on the watch for gargantuan Humpback Whales which migrate seasonally from chillier climates. 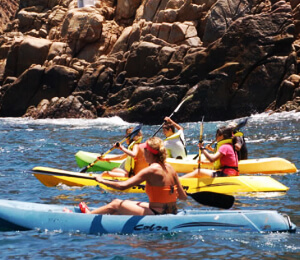 On this fantastic eco-tour, we want you to observe the remarkable sampling of wildlife that resides in Banderas Bay. Our fully-appointed catamaran will transport you over the spectacular waters of Bahia de Banderas to the federal wildlife and marine reserve at the Marietas Islands. As the motorized cat approaches Las Tres Marietas, be on the lookout for leaping dolphins, breaching whales, jumping rays, and surfacing sea turtles. 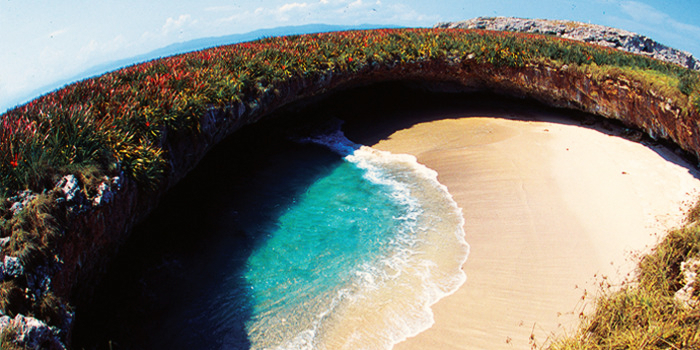 After reaching the Marietas Islands, you may participate in any number of ecologically themed activities. This unforgettable day of exploration includes an assortment of activities including snorkeling, kayaking, and bird watching. Observe tropical birds, migratory birds and sea birds as you move around the islands. You may see a Red-billed Tropicbird, the endangered Green Macaw, or even the rare Blue-footed Booby, which is only known to nest on the Galapagos Islands and Las Tres Marietas. 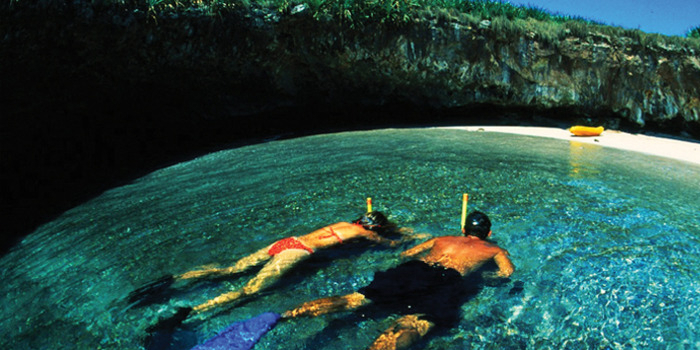 The visibility around the Marietas is excellent for diving and snorkeling. 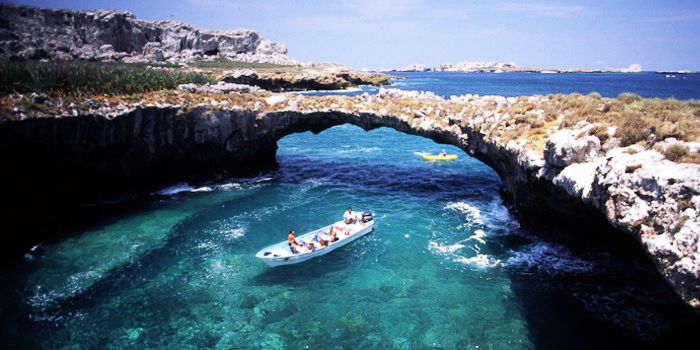 Divers from all over the globe travel to Puerto Vallarta just to dive sites like the Marietas and Los Arcos. While diving or snorkeling, you'll be amazed by the vast numbers of vibrantly hued fish that reside in this locale. SEMARNAT fee of ~$5.00 per person is not included in price. There is NO ACCESS to any land or beaches with this tour. Hidden Beach is not part of this tour. All cruise ship passengers MUST book this tour directly through their cruise line. Puerto Vallarta Snorkeling is always interested in your tour experience with us. We hope you enjoyed your tour and love to hear comments. I have been to the Bahamas many times, but Marietas Eco Discovery is one of my favorite trips! It includes everything that everyone should do here. As a Bahamas veteran, I can say only the best about this experience!